Reminders are only part of the solution. We collect data through automated phone interviews to reveal the why behind non-adherence, allowing health care and insurance providers to improve their services. 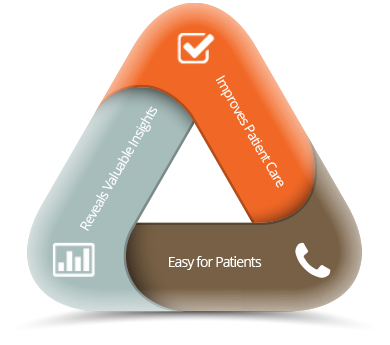 Keep all of your patients on track and healthy – NO SMARTPHONE REQUIRED. Discover adherence trends to improve patient care. No downloads, no new technology, and no data entry. Just a daily phone call to keep you on track. Understand why your patient isn’t taking his or her medication, and address the issue before it impacts their health. Get reports that reveal adherence trends across large patient populations. Adhearx is actively adding new features and improving upon existing services. Stay up to date on the latest improvements by subscribing to our newsletter or following us on social media. Adhearx gives doctors, insurance providers and pharmacies the tools to deliver high quality healthcare through a better understanding of why patients struggle with medication adherence.